Looking to do some outlet shopping while staying in Pottstown? The Comfort inn Pottstown is located about 10 minutes from the Philadelphia Premium Outlets shopping area. The Comfort Inn Pottstown wants to be area hotel headquarters for shopping and all things Pottstown. 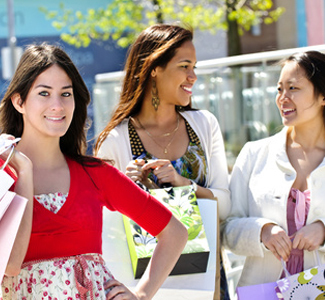 The Philadelphia Premium Outlets Center has 150 outlet stores such as Bebe, Gap Outlet, IZOD, Last Call by Neiman Marcus, Polo Ralph Lauren, Tommy Hilfiger, Under Armour, and Forever 21. The outlet mall also has a food court that includes nearly a dozen choices and a full service Ruby Tuesday restaurant. Visit the official Philadelphia Premium Outlets website linked at the bottom of this page for more information about the mall including a complete store directory, hours of operation and much more.